This painting pays tribute to the wonderful world of imagination. PROVENANCE: Created for and exhibited in 2012 "ARTFeast" Santa Fe, NM. 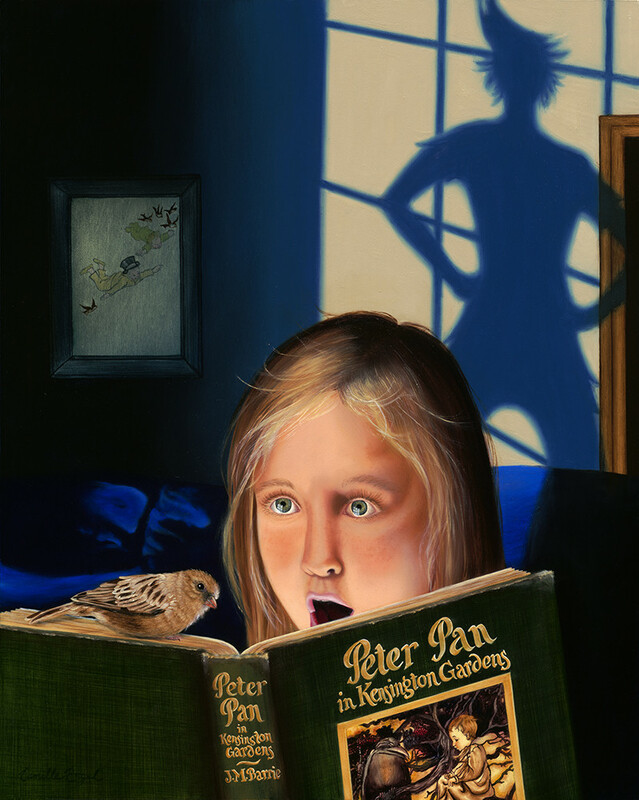 Is Peter Pan actually in the window or is he simply a figment of the girl’s imagination? Historic Firsts: Camille Engel's first “human” subject painting.